With respect to the coding infrastructure, businesses, be it of any scale, need to have an efficient team that can understands the role of infrastructure in enabling smarter product development and faster deployment. When it comes to the cloud, its operating cost does not based on how many hardware is running, rather it depends on how every day workflows are being managed; that way reporting and processes can become complex tasks to manage. Keeping it in mind, organizations are required to join hands with an exert partner to identify where the gaps are, and not just filling those gaps. The evolution of the cloud has thrown multiple challenges to managed service providers, known as MSPs, to deliver more values to their clients; enterprises are required to update their criteria in order to select the best MSPs and take advantage of their services. Consider following factors before making the final choice for your MSP. Maintaining feedback between IT and business is quite essential to maintain agility. Business must be informed from time to time about why and how the cost of infrastructure is changing over time, and IT must be aware of how and where to spend its allotted funds. Expert MSPs manage set up and provide their clients with detailed automated reports and cost reporting. Also, they take care to implement advanced cost saving strategies and implement reviews in which they provide details on where the organizational data is subjected to human logic. An expert MSP also provides ticket management& prioritization, incident management, basic project management, change management, and prioritization. Agility and innovation are one of the top most drivers for adopting the cloud as per the report published by Harvard Business Review. Agility not only reduces IT operational complexity, but it also reduces business complexity. In order to achieve desired agility, organizations are required to automate their cloud infrastructure so that it can transform into a PaaS-like platform; that way their development team can automatically replicate changes across instances, quickly spin up and down new environments, and centralize change and document management. Such efficient tools in turn assist in facilitating DevOps transition. Automation holds the key to empower cost-effective experimentation; it not only speeds up development, but also enables developers in maintaining compliance. The issues with achieving such automation is that it takes months of time to create a script that can spin up aptly configured instances covering range of applications. Enterprises should look out for MSPs that can provide a beforehand created script; then they can run it to spin up an organization’s environment in days, which can be a huge value addition for any organization. Such well-experienced MSPs can manage initial maintenance and set up to deploy pipelines. They can act as curators of a present complex software marketplace assisting organizations to take maximum advantage of the cloud agility. When an organization implements a combination of public, private, on-premise cloud environment, they expect to carry out the implementation with an ideal partner having expertise of all three types of cloud environments. They demand an MSP partner that can quickly deploy Greenfield public cloud environments, but also has rich experience of traditional enterprise hosting; such an MSP can very well understand legacy applications and clearly communicate with an organization’s cloud novice internal teams. Cloud technologies evolving continuously. Keeping that in mind, MSPs may be well-experienced and proficient at managing a system, but it can fail in developing cloud infrastructure that can evolve at desired pace and efficiency. Organizations should prioritize on selecting an MSP that focuses on ongoing changes, rather than ongoing monitoring. 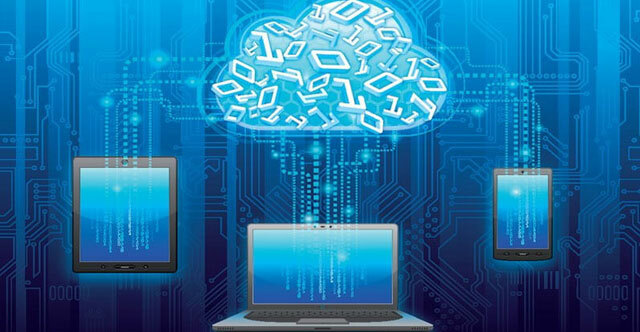 An ideal MSP provides an organization’s cloud environment the capability for efficient change. A cloud that is fully automated and templatised can automatically document changes and facilitate immediate roll backs. Organizations should realize that their preferred MSP also acts as a managed security services provider (MSSP). Security expertise is one of the top most criteria to look for in any MSP evaluation. In 2016, many new born cloud service providers and old-guard MSPs will enter the competitive arena of MSP. It becomes then essential for organizations to keep in mind key analyzing factors to pick the best MSP that can deliver the best in class performance.